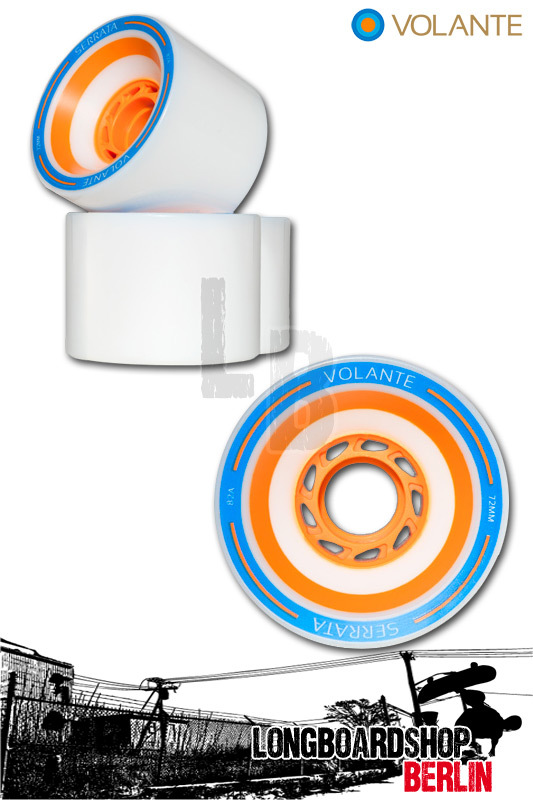 The Serrata is the first race wheel in the Volante lineup. The wheel has gone through strenuous testing by our team riders and after many tweaks and fine tunings they have unanimously agreed that this is the best race wheel they have ever ridden. We engineered the Serrata with a high strength vented core that will allow for the fastest speeds in downhill, and the 53mm contact patch with a 3.5mm offset will give optimal traction while you are pushing the limits. For those of you who want go fast and stay in control, this is the wheel for you.